I'm sure all the chicken lovers will enjoy this recipe. Combine yogurt, coriander powder, cumin powder, turmeric powder, ginger - garlic paste, green chillies and salt according to taste in a bowl and mix well. Then add chicken pieces and mix well and set aside for 30 minutes. Heat ghee in a non - stick pan. Add cinnamon, green cardamom and cloves and sauté till fragrant. Add chicken along with the marinade, stir and cook on high flame for about 4 minutes. Then add red chilli powder and tomato puree, mix well and cook for 2-3 minutes. Add onion paste, mix well and cook for 2 minutes. Add cashewnut paste, mix well and cook for 2 minutes. Add cardamom powder and garam masala powder, mix well and cook for 2 minutes. Adjust salt and mix. Add coconut milk, mix well, cover and cook for 15 - 20 minutes. Best Served Hot with rice. 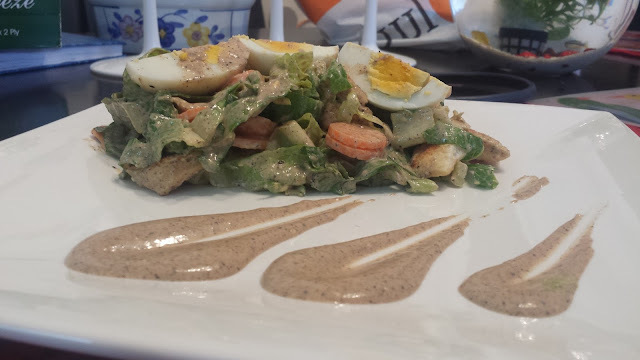 Today I am opting for a healthy recipe and prepared a salad with leafy vegetables as the title suggests. It is too delicious and nutritious. By good fortune if a bit of salad had left then you can grab it as late night sandwich. So let's start with recipe. Slice the Carrot and cucumber and toss it in a bowl, then add the lettuce. Shred the cabbage and toss it along with the other ingredients. For the dressing in a small Bowl add yogurt, blueberries, mayonnaise and pepper and stir until it becomes smooth. This is my go to Chocolate Cake. I make it for family dinners, birthdays, and everything in between. I really like the combination of two types of chocolate. 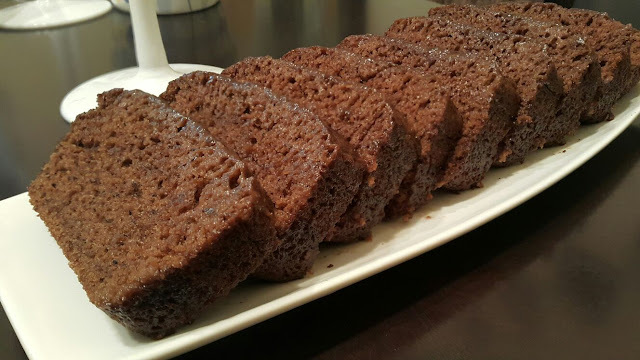 Unsweetened cocoa powder is used in the chocolate cake and a dark chocolate is used in the frosting. I hope you like this recipe just as my family and friends do. Preheat oven to 350 degrees F (180 degrees C) and place rack in the center of the oven. Butter, or spray with a non stick vegetable spray on a pan and set aside. In a large bowl whisk together the sugar, flour, cocoa powder, baking powder, baking soda, and salt and set aside. In another large bowl, whisk together the eggs, mashed bananas, water, milk, oil, and vanilla extract. Add the wet ingredients to the dry ingredients and stir, or whisk, until combined. Ganache : Place the chopped chocolate in a medium sized stainless steel, or heatproof bowl. Set aside. Heat the cream and butter in a medium sized saucepan over medium heat. Bring just to a boil. Immediately pour the boiling cream over the chocolate and allow to stand for 5 minutes. Stir until smooth. When Ganache has completely cooled, beat until soft and fluffy. Then spread the frosting on top of the cake. Can garnish with dried banana chips. Enjoy the penne pasta tossed in white sauce in this delightful penne pasta in white sauce recipe. 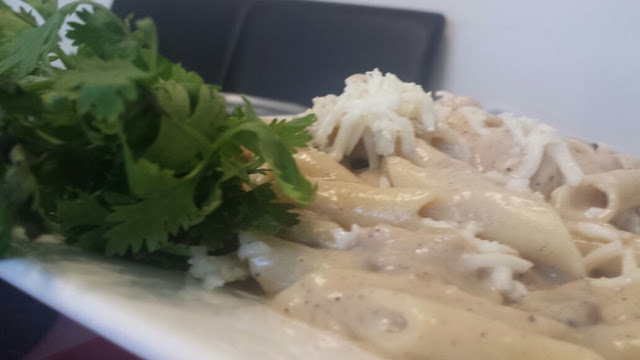 The penne pasta is prepared and then coated in a creamy freshly prepared white sauce. This is one of my favorite dish and I love preparing it. Hope you enjoy. Cook the penne in a large pan of boiling salted water until well done. In a heavy bottom pan add some butter, all purpose flour and saute the all purpose flour till it turns golden brown. Add milk, salt and pepper then stir continuously till it gets thick. In a pan add some oil, garlic, onion and saute till it turns brown. Add mushrooms and chicken and stir them well, then add pepper and salt. Add the sauce into the pan and mix well with the penne pasta. Best served hot with garlic bread. Pork Indad is one of those classic Indian dishes, that truly is a combination of communities that have made India the cultural melting pot that it is. 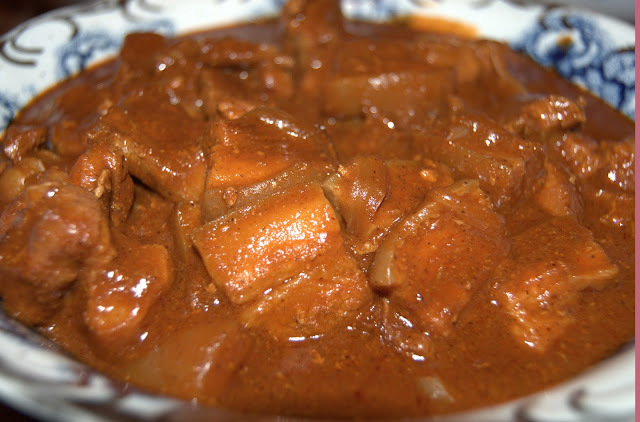 Originally derived from vindalho, pork indad is similar dish, but one that is made by the Mangalorean Catholic community. I decided to prepare this delicious Mangalorean dish that I have learnt from my mom and dad with a slight twist. Cut meat into slices, apply salt, turmeric powder and marinate for a couple of hours. In a frying pan, melt the pork fat or oil and lightly fry the marinated pork slices until they turn golden brown. Make sure not to over fry them, else they become hard. Fry all spices together and grind to a fine paste. Add little vinegar. Slice the onions fine and fry them in oil or pork fat on moderate heat to a golden brown color. Add fried pork, ground spices and cook till done. Add salt and sugar or jaggery if required. 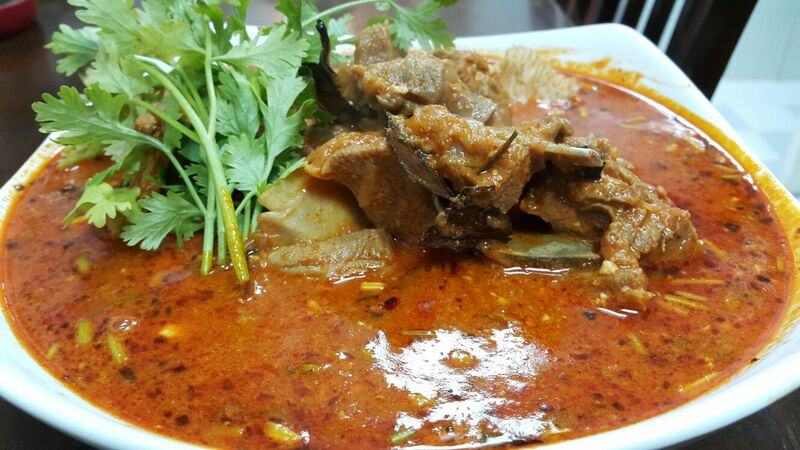 Rogan Josh is a lamb dish of Persian origin. It is a signature Kashmiri cuisine and derives its name from the Persian words: Rogan, which means "oil" and Josh means "intense heat". Thus, Rogan Josh means made in oil at intense heat. Hence I decided to prepare this special dish on my Mom's Birthday to surprise her. Heat oil in a thick-bottomed pan. Add cinnamon, cloves, bay leaves and black cardamoms then add onions Sauté till fragrant till the onions turn golden brown. Add lamb pieces with littlle amount of water and cook on medium heat, stirring constantly till lamb pieces turn a nice reddish brown color. Add Kashmiri red chili powder, fennel powder and salt according to taste. Add yogurt and cook till the lamb is tender, stirring occasionally. Best served hot with steamed white rice. "The great combo of flavours turns this dead simple salad into something really special"
Slice the cucumber and carrot. Mix all the ingredients in a bowl add salt and pepper as required. Refrigerator immediately before and after serving. This guarantees freshness and safety! 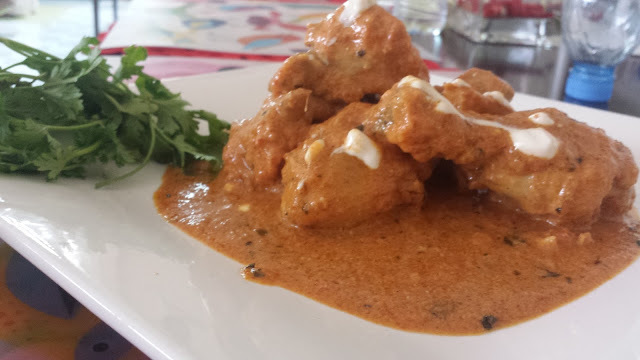 Butter Chicken Masala is probably one of the most popular Indian chicken recipes liked by all for its mild flavour and deliciously rich gravy. 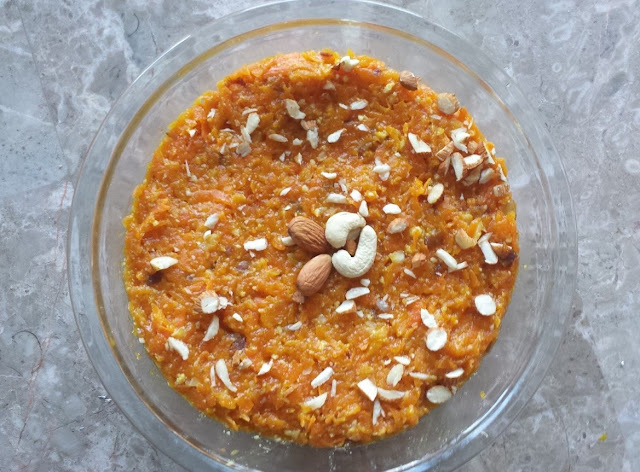 I wouldn't be surprised if this is the most popular dish in Indian restaurants and so, this is how I decided to Prepare this dish. Put the ginger and garlic into a small food processor and puree, you may need to add a bit of water to make it go. If you don't have a small food processor, you can grate by hand. In a small bowl, whisk the yogurt, vegetable oil, salt, garam masala, saffron, and 2 teaspoons of the garlic ginger mixture together. Save the remaining garlic ginger mixture for the sauce. Put the chicken in a vessel and pour the marinade all over it, rubbing it into the chicken. Marinate for at least 2 hours. For the sauce, puree the stewed tomatoes with their juices along with the tomato paste in a blender or food processor. Add the butter to a pot along with the green cardamom, black cardamom, cinnamon and cloves. Fry the mixture until the cloves are puffy. Add the fenugreek leaves, chili peppers, and remaining garlic ginger mixture and saute until browned, and very fragrant. Add the pureed stewed tomatoes and tomato paste and cook this mixture over medium heat until the tomatoes have become very thick and paste-like (about 45 minutes). Once the mixture starts sputtering you'll want to stir it pretty regularly to keep the sputtering under control while maintaining enough heat to reduce the liquid. While the tomatoes are reducing, grill the chicken. You can use either an outdoor grill or broiler, but in either case it needs to be very hot. You want to get the outside lightly charred, but you don't want to cook the chicken all the way through as it will finish cooking in the sauce. If you cook it completely now, it will get overcooked in the sauce. In a blender or food processor, add the raw cashew nuts along with 2 cups of water. Puree until smooth and milk-like in color. When the tomato mixture is done caramelizing turn off the heat and add the cashew nut milk, whisking it together. Pass the sauce through a wire strainer into a saucepan, pressing on the solids with a silicone spatula to get as much sauce through as you can. Cut the chicken into large chunks and add it to the pot with the sauce along with the salt, fenugreek leaves and garam masala. Cook this for 6-8 minutes over medium heat until the chicken is cooked through. Add the cream and stir together and then turn the heat off. Plate the butter chicken and drizzle a little extra cream on top. Garnish with some cilantro leaves. Add all the ingredients in a bowl and mix it well for 5 minutes and leave the batter for 3 hours. Add salt to taste. Once the pan is hot take a small amount from the batter drop it in the oil. Repeat the same to drop 5-6 golibajes at a time in the oil and wet your fingers each time to get a nice round shape.You will observe that goli baje will bloat and start floating in the oil. Best Served Hot with Mint Chutney. Heat the olive oil in a pan. Add the grated carrots and sugar and cook for about five minutes. Add the milk and continue to cook for six to eight minutes. Add the khoya, dates, cashew nuts and green cardamom powder and mix. Cook for ten to fifteen minutes or till almost dry. Best served hot garnished with almond silvers. Mix the gelatine with half cup water in a small pan. Heat on low heat, stirring continuously, till it dissolves. Pour the condensed milk in a bowl and mix till light creamy. In another bowl, mix the lemon juice with half cup of pineapple syrup from the tin. Chop five slices of pineapple. Add the pineapple syrup and pineapple to the condensed milk. Pour the gelatine solution into the condensed milk mixture stirring continuously. Freeze the mixture for half an hour till its thick. Remove from the freezer and beat till smooth. Add two hundred grams of cream and reserve the remaining cream for decoration. 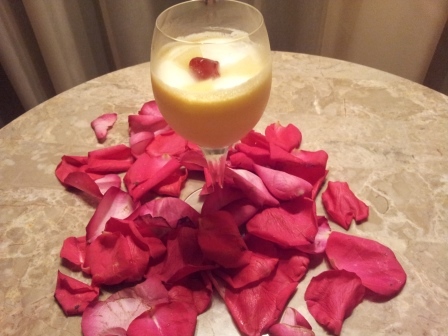 Add the pineapple essence and yellow colour, beat well and put it back in the freezer for fifteen to twenty minutes. Remove from the freezer and beat again till smooth. Pour into a serving dish and freeze for one hour or till set. Whip the reserved cream with powdered sugar. Remove the mousse from the freezer. Transfer the whipped cream in a piping bag fitted with a star nozzle and makes rosettes on the surface of the mousse. Add turmeric powder, chili powder, lemon juice, soya sauce, 1 egg. Add a pinch of salt, mix all the ingredients with the chicken. Keep it at rest for 30 minutes. Crush the corn flakes into fine powder, then mix with bread crumbs and keep it aside. Take the marinated chicken and roll it in the flour and 2 eggs, then dip it in the mixture and coat it with the breadcrumbs mixture. Heat oil in a deep frying pan and fry the coated chicken till it turns golden brown. Best served Hot with Tomato Ketchup or any sauce.